Credit affects all people; young, old, rich or poor. 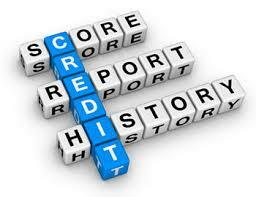 Credit reports and scores can impact all aspects of our lives; loans, credit card offers, renting an apartment and even job opportunities. Because of this, it’s critical that you understand how credit works and what factors create your credit score. There are three major national consumer credit reporting agencies that create credit reports; TransUnion, Experian and Equifax. Each agency uses a credit scoring model that typically ranges from 300 – 850. Your credit score is a three-digit number that relates to how likely you are to repay debt and is largely based on payment history and limit to balance ratio. For example, if you have a credit card account with a $5,000 limit and your balance is $1,000, it’s more likely to have a positive impact on your score as opposed to having a $4800 balance on that same account. Your score will never factor in personal information like your race, gender, religion, marital status or national origin. While everyone presumably begins their credit life with a blank slate, it’s a good idea to get a copy of your credit report. One in five Americans find errors and sometimes accounts get reported to the wrong consumer. There could also be collection accounts that you may be unaware of. If there are collection accounts, you should either pay the creditor or, if you don’t believe the account belongs to you, dispute it directly with the credit reporting agency. It’s never too early to begin building a positive credit history, even if that means starting with student loans. If you’re wondering how to build credit when you don’t have credit, there are a few options to help get you started. Deposit funds into a savings account and use it to get a secured loan or credit card. Most financial institutions will do secured loans for as little as $1,000. Get a co-signer, this means they take full responsibility for the debt in the event you fail to pay it back. Regardless of the methods you utilize to begin building a positive credit history, it is imperative that you make each and every payment on-time. One missed payment could wipe out all your efforts to establish credit.